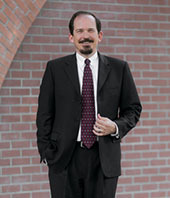 GENE STONEis the Founding and Managing Partner of Homan & Stone. His practice focuses on general liability and casualty defense in the areas of product liability, premises liability, automobile liability and wrongful death. He has been handling rental car litigation throughout the State of California for over 20 years. In addition, Mr. Stone has extensive experience in trucking and transport which provides him with a unique ability to address dynamic time sensitive transportation liability matters, including responding to scenes of catastrophic events and providing on scene legal services to clients. Mr. Stone works closely with Claim Representatives for both transportation insurers and rental car companies to manage pending and potential litigation. Mr. Stone has tried dozens of cases involving automobile liability, general liability issues, wrongful death and product liability. In one instance recently, Mr. Stone received a jury verdict of $230,000 for a personal injury case wherein plaintiff’s demand at trial was $9.3 million. In addition to handling cases, Mr. Stone works in the day to day activities to the firm, including staff supervision.